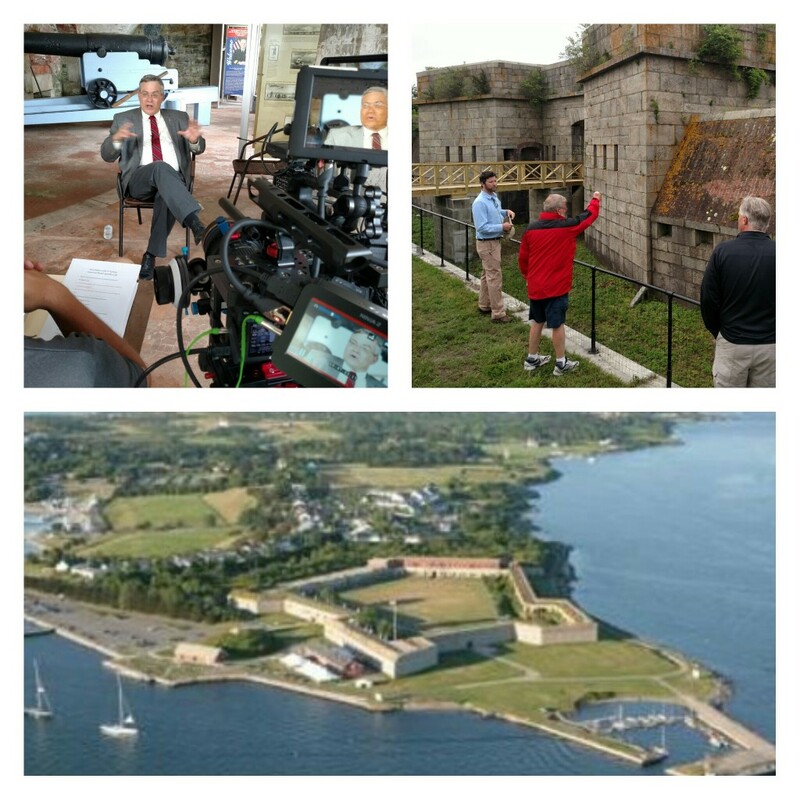 NEWPORT, RI: Ravelin Films has commenced work on a new documentary for Fort Adams in Newport, Rhode Island. This program will feature noted fort historian and author John Weaver as well as a strong working agreement with the Fort Adams Trust, who promote, program and preserve that National Historic Landmark. Fort Adams significance in American history stems not only for its dominance for defense in the coastal region, but also from when it was constructed and who built it. The 3rd System of Forts were built in the United States in the decades following the War of 1812 in response to lessons we learned about national defense during that struggle. The man who oversaw initial construction at Fort Adams, Joseph Totten, would go on to be Chief Engineer of the United States army. This fort is seen as a test ground for many ideas that would be implemented much wider in the system. Work will continue on the documentary through 2016. Additional filming is planned for spring of 2017 for a release date later that year.